Laura is a Service Designer, working predominantly with voluntary organisations to help them use design to improve their service offers and transform their culture. She is also a Senior Lecturer in Service Design at Northumbria University. 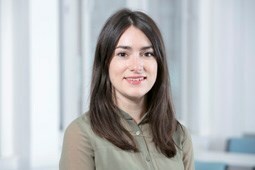 Laura's PhD explored the value of design to voluntary sector organisations, and that experience has led her to work with regional and national organisations including Mind, BIG Lottery Fund, Seven Stories, Reach Volunteering and GirlGuiding UK.